please read general information and answers to frequently asked questions. 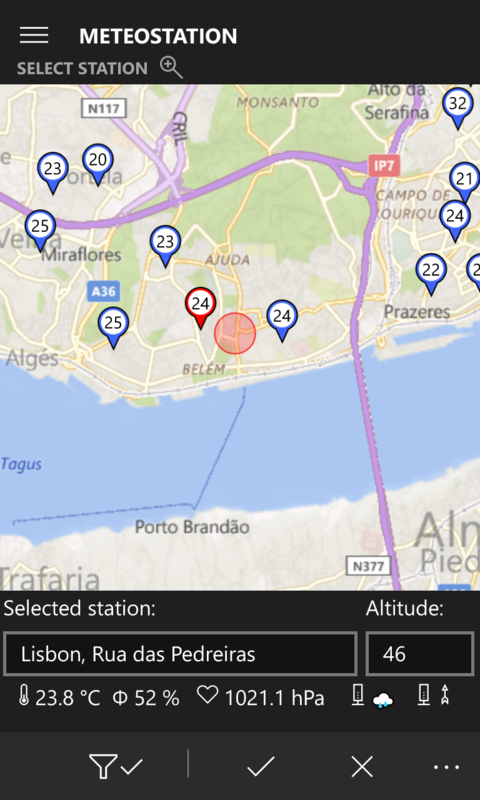 Application MeteoStation is distributed only through the official Windows Store. Download links you can find below on this page. 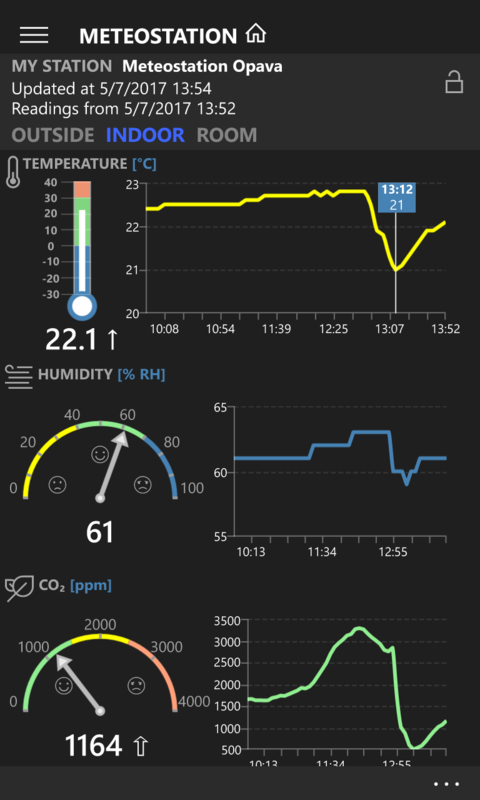 LiveTile on the home screen shows current measurement of the selected station. 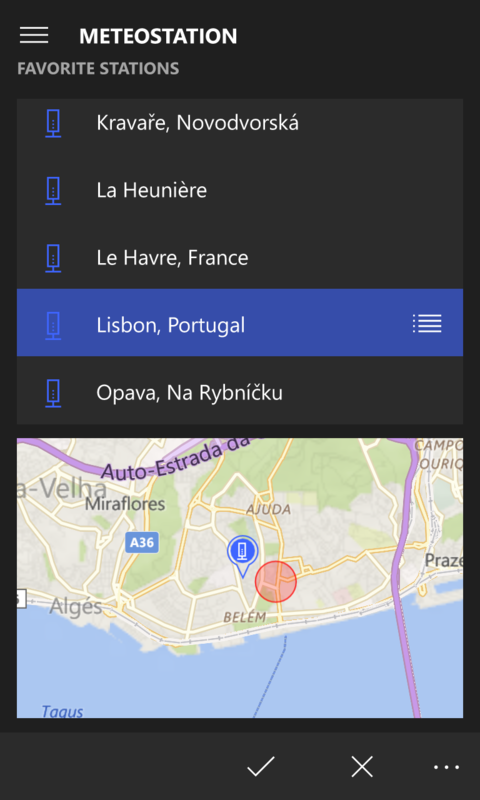 There are two variants of live tiles available. Normal, showing the finest detail measurements and simple tile that displays temperature only. 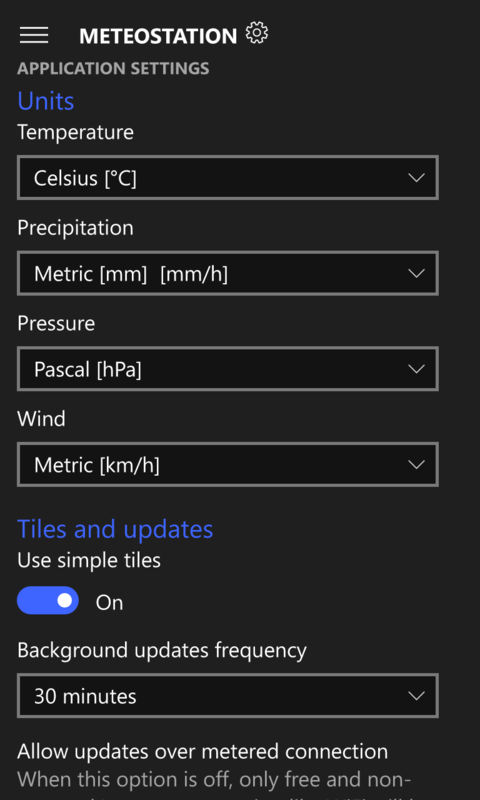 The application supports all currently available tile sizes. 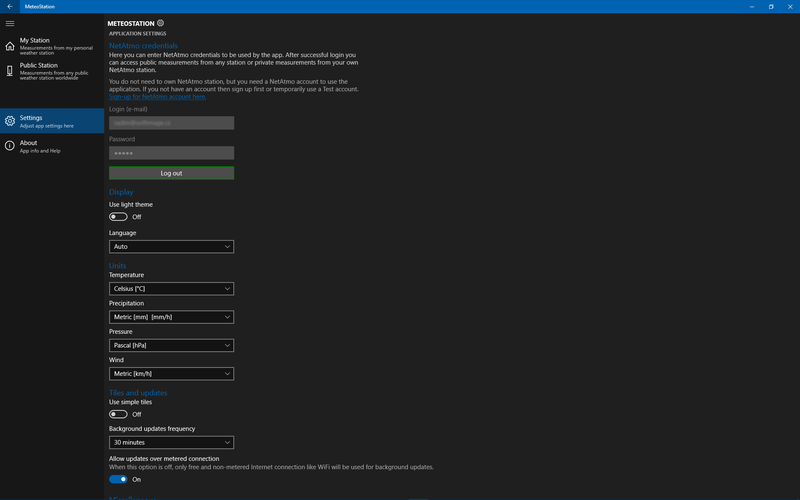 Application is continually evolving – see information about new releases. If you want to see this application in your native language or improve current translation you can contact us by e-mail. We would be happy if you can help us with correct translation. 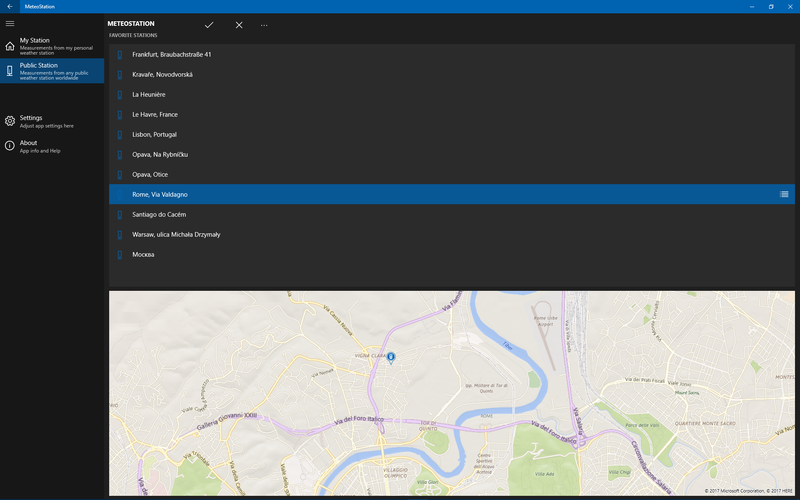 All translators will get MeteoStation license for free. 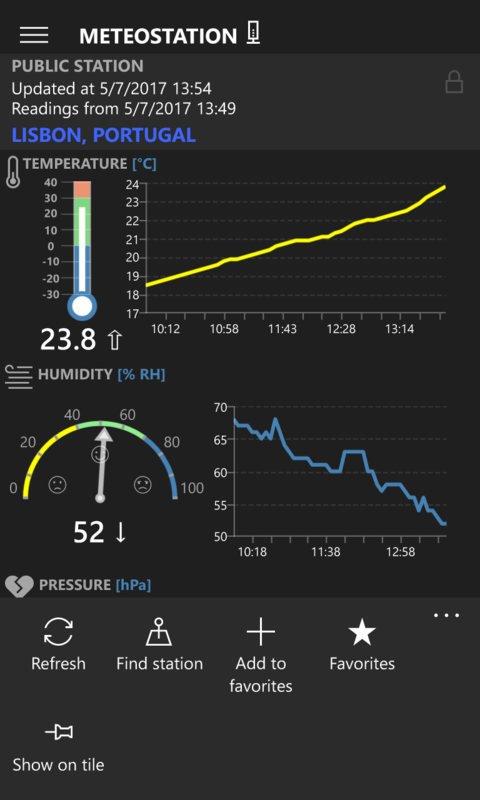 You can download MeteoStation from the official Windows Store. You can also download Trial version before purchase and play around. 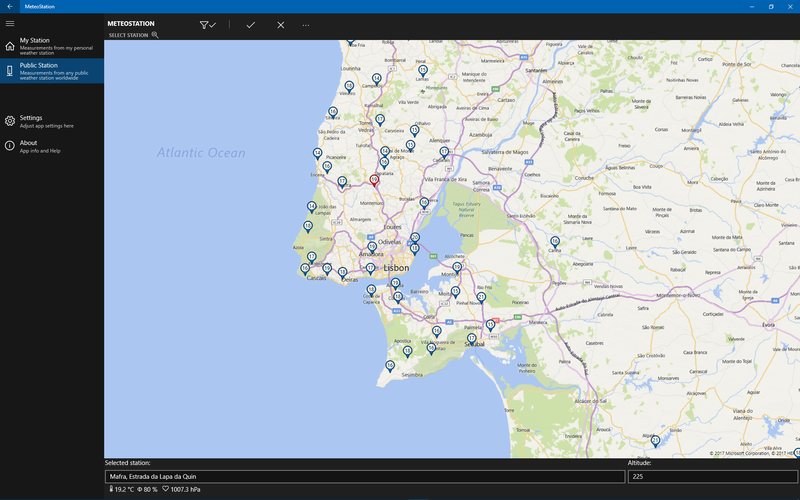 During the trial period you can try all the features and capabilities without restrictions. 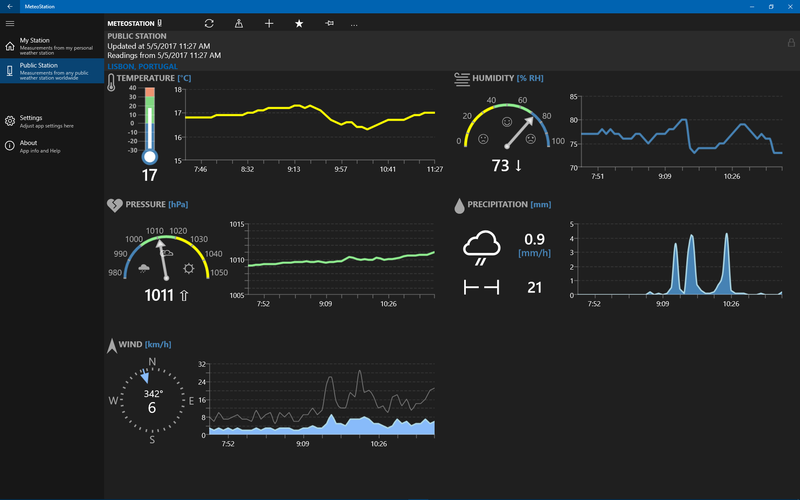 Recent version of the MeteoStation for Windows 10 you can download via link below. What’s new you can see here.